Growth… But at What Cost? Startups put a lot of time and effort into growth. They’ll try pretty much anything to get more visitors to their website and this is not necessarily a bad thing. In fact, it’s what makes growth hacking so awesome. Growth hackers will come up with the most creative ways to gain new users. But sometimes it can come at a cost to startups if it is not done properly. If a startup neglects infrastructure, its onboarding strategy or simply working on a monetization plan, it can have a negative effect on the startup and lead to its failure. Today’s post will focus on that last point. I see many startups trying to get as many users as possible, preferring to leave monetization for the future, inspired by the likes of Tumblr, Instagram, Twitter, Google and Facebook. I’ve met tons of VCs who also promote this type of startup behaviour. They want you get as many users as possible to validate the product/market fit before they invest in you. This isn’t crazy but be very careful when doing this. The problem is that many startups don’t already have the financial backing or personal savings to pull off this type of strategy and won’t survive for very long if they try to do so. If you run a startup or plan on starting one, don’t neglect your monetization strategy and be sure your strategy fits with your personal budget and the financial reality of your startup. This article is inspired by one of my first startups, Techno.FM. Back in May of 2005, my brother founded an online radio station called Techno.FM. I joined him shortly after he launched it and helped him to create a buzz. What started as a hobby grew into a great radio station. So I quickly became very knowledgeable in SEO and over the following 2 years grew the radio station to a size we had never imagined! On top of that, the hundreds of DJs who performed on our station (either weekly or occasionally) also promoted our site. It helped that we had an awesome product! The station specialized in producing and broadcasting live radio shows from around the world. Barely anyone did this at the time. There was one major problem with all of this… we weren’t making any money and could barely pay for the bills! Our hobby had become pretty damn expensive. Why was it that we couldn’t monetize? Our main revenues were from Google Ads. This made nearly no sense to me at the time because how can you make money off of visual ads when your product is consumed by listening. I spent so much time contacting ad agencies trying to get audio ads. Heck, we were able to track ads way better than traditional radios. The only problem is that if you spoke to the radio department of an agency, they sent us to the online ad department. When we would speak to them, they would send us back to the radio. No agency knew what to do with us. It seemed that the only way left to monetize was with video ads. It’s what all the bigger stations did (and it is nearly still the case today). How could an entire industry depend on ads that you needed to look at when the product is consumed by listening? If we adopted this model, we would have had to remove our station from all the primary sources that drove traffic to our station because showing video ads wouldn’t have been possible on iTunes and Winamp. We eventually had to cut the growth and do everything possible to diminish our bandwidth consumptions. We came close to getting two investors to help us but things turned sour and we never got the investment. At the end of 2008, I eventually left because I couldn’t afford to dedicate the time nor the money to the project anymore. I also felt that the team couldn’t align on priorities. After my departure, the team left in place focused on cutting costs and listeners to a level that they could afford to pay out of their own pockets. Monetization didn’t quite get them importance as cost cutting. The station continued to shrink. It still saddens me to think that I never managed to develop the station to its full potential. What started as a hobby and not as a real startup blew up to become a pretty big online radio station. Because it was a hobby, there was no clear plan to monetize in the first place. I still believe that for some of the team, it always just remained that… a hobby. Please don’t get confused between monetizing and charging. You can offer your product/service for free for any period of time while still having a plan to monetize (either short-term or long term). For example, your plan may be to roll out ads at a future date while continuing to offer your service for free. I consider neglecting to validate that the ads will cover your expenses to be “not having a plan”. I can think of a few other services that either died or came close to it while being very popular but failing to become profitable. XMarks (formerly Foxmarks) came close to closing because they couldn’t monetize their large user base. Shortly after announcing they would close, they received tons of donations to keep the service alive and eventually gained enough traction to sell the company a few months later. For your project to be considered a startup, have a plan to monetize it or it will just remain a hobby and nothing more. 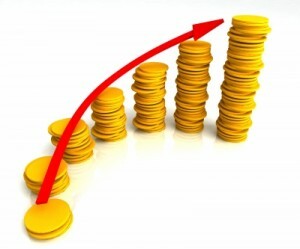 Whether your plan to monetize works or fails, you’ll have to run tests over and over again to optimize your revenues. Additionally, by having a monetization plan, you won’t depend as heavily on external investors. In the case of Techno.FM, it took too long to figure this out. We spent a lot of time, just before I left, trying to get users to pay for a premium service. We had some success but we didn’t optimize the site enough in order to get the best results. Forget about A/B testing, we had no idea what that was! I’m also pretty sure the churn rate was really high. I doubt that those that paid for a 1 month package ever renewed but heck, we didn’t even really track that. Our main goal should have been to drive every listener to the website and to collect email addresses. We should have had a really basic homepage with the primary goal of getting visitors to create an account. We weren’t collecting emails so we had very little means to reach out to our current and past listeners. The radio should have only been available for 15-30 mins before cutting out and requiring the listener to create an account on our site. The stream quality on iTunes and Winamp should have been pretty low, encouraging listeners to sign up on the website to enjoy a better quality sound. Having users on our site to listen would have ensured that we could present visual ads to the majority of our listeners. This better quality as well as our high quality radio (paid service) should have only been available from our site. But then again… Perhaps none of these ideas would have worked. I am no longer an expert in Internet radio since the industry has changes so much. But even if I was… “One accurate measurement is worth more than a thousand expert opinions” – Admiral Grace Hopper. The important thing would have been to continuously run tests based on hypotheses formulated from the assumption – like the ones I made in my restrospect – to measure, to learn and then to quickly run another. Our goal should have been to fail fast and to learn even quicker, the lean startup way. Today, this is very much part of the job of a growth hacker. I hate to tell you but… There is no magical solution. Even the opposite scenario is possible. Putting too much effort on monetizing before finding the right product/market fit can also really hurt you. Heck, I’ve done that too! Do you have any examples of other startups that failed to monetize their traffic quickly enough? Author AlexPosted on October 6, 2013 January 8, 2016 Categories Case Study, Growth Hacking, Product ManagementTags a/b testing, measuring, monetizing, techno.fmLeave a comment on Growth… But at What Cost?